Come attend the St-Lawrence Toastmasters meeting of Tuesday February 4 as it will be a special meeting not like our usual weekly meetings. We will be holding a club contest (i.e. 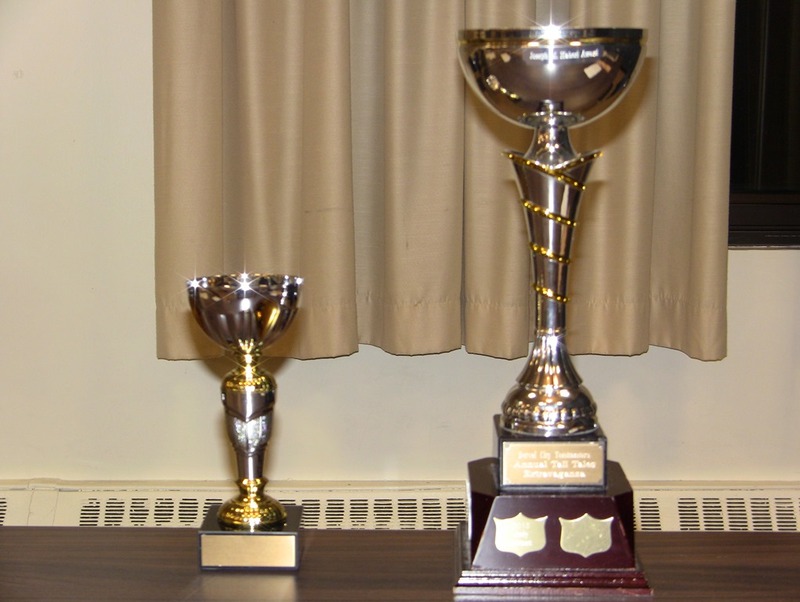 International Speech contest and Table Topics contest). Table Topics is about developing your ability to organize your thoughts quickly and respond to an impromptu question or topic (as described on the Toastmasters International website). All contestants shall receive the same topic, which shall be of a general nature. The topic shall be of reasonable length, shall not require a detailed knowledge, and shall lead to an opinion or conclusion. When the contest begins, all contestants except the first shall leave the room. Introduce each contestant by announcing the contestant’s name, the topic, the topic, the contestant’s name. What makes it interesting for us as audience members is that we get to hear different answers to one same topic question. We will perhaps imagine, “If I had been asked that question, how would I have answered it?”, which can lead to an ever greater appreciation of how each contestant answers the question. We’ll probably also pick out the common points between each contestant’s answer, as well as marvel at hearing any specific or particular points that make each answer stand out. This is a great learning experience because it allows us to, in a sort of indirect way, “learn through osmosis”. Here is the program of the evening. Good luck to all the contestants! P.S. And for the contestants, here is a useful post on Tips for preparing for Toastmasters Table Topics. Venez visiter notre club Toastmasters à Montréal pour voir comment vous pouvez améliorer vos capacités dans l’art oratoire et en leadership. Toastmasters offre un programme de projets de communication et de leadership conçu pour aider ses membres à apprendre l’art de parler efficacement, d’écouter attentivement et de raisonner. Voici le programme pour la réunion Toastmasters du 28 janvier 2014. 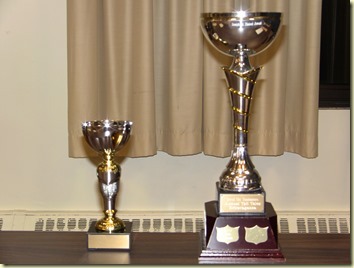 The videos of the St-Lawrence Toastmasters 65th anniversary celebration are now available for viewing. The evening was an occasion for us to celebrate our club’s 65th anniversary in a nice dinner setting, surrounded by members, family and friends. Of course, this was an excellent opportunity for our members to put to use what they learn at Toastmasters, such as being master of ceremonies of the evening, giving toasts, giving entertaining speeches, and welcoming some new members to the Hall of Fame. Video 1: Robyn Croll, Italo Magni, Ilya Morozov. A big and sincere thank you to everyone who helped to make the evening a great success, especially to the chief organisers Jacques Lamontagne and Gilles Pelletier! And as a memento, here is the programme of the St-Lawrence Toastmasters 65th anniversary celebration which includes the names of all the participants. Thanks as well to Jean-François Hayeur for filming the videos. Cherchez-vous des conseils pour savoir comment mieux vous exprimer en public, comment préparer un discours plus efficace, ou comment devenir un meilleur leader? Venez visiter notre club Toastmasters à Montréal. Voici le programme Toastmasters de la soirée du 21 janvier 2014. Here is an invitation from the Dorval City Toastmasters Club, one of our fellow Toastmasters clubs in Montreal. On Saturday February 8th 2014 we will be holding our annual Tall Tales Extravaganza at the Taormina Lounge in Lachine. I would like to extend an invitation to your members and their family and friends. This event is open to all, Toastmasters and non-Toastmasters. During the event a meal will be served. There will be a Tall Tales contest where contestants present a highly exaggerated and humorous story. This has always been a fun event and it is an opportunity for experienced toastmasters to compete for a trophy and for all to learn from great talent. If any of your members are interested in being a contestant or attending please have them contact me for tickets and information. The cost of the event is $36 which includes taxes and tips. Please consult the flyer for the annual Tall Tales Extravaganza for additional information. If one of your goals this year is to become a better public speaker or a stronger leader, then make it a plan to join a Toastmasters club in Montreal. Come meet us and see how Toastmasters can help you attain your objectives! Here is the programme for the meeting of January 14, 2014. Bonne année 2014! Est-ce que vous vous êtes fixés des buts pour l’année? Si l’un d’eux est d’améliorer vos capacités de vous exprimer en public, ou de devenir un meilleur leader, alors planifiez de visiter un club Toastmasters à Montréal. Voici le programme pour la réunion Toastmasters du 7 janvier 2014.